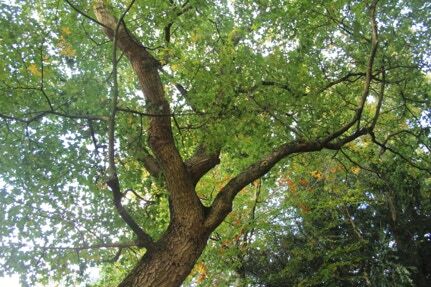 Trees in the genus Acer are commonly called maples, of which there are 124 distinct species and many more sub-species, that manly inhabit the northern hemisphere (1). There are also many thousand of named selections, called cultivars, which were chosen for superior garden qualities. The genus Acer is further divided into 14 Sections of similar characteristics, of which Acer truncatum (Bunge), Shandong maple, falls into Section platanoidea. Section platanoidea contains 10 trees, all of which produce milky sap and are found in the wild in Europe and Asia. 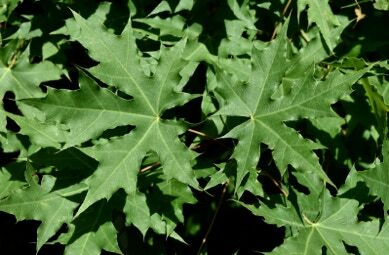 Europe has the Acer platanoides (Norway maple), and Acers cappadocium and campestre (Hedge maple). Asia contains Acers longipes, miyabei, mono, nayongense, tenellum, tibetense, and truncatum. Section platanoidea is a more ancient group of maples that evolved around 100 million years ago in China, although some of the earliest fossils records of maples were found in Alaska. This section does not show a close affinity to other acer sections. They then migrated to Europe and if they came to North America became extinct in the ice age. This section has 3 to 5 to 7 lobed leaves and are opposite each other on the stem like all maples. Section platanoidea are all medium to larger growing trees with small flowers on small corymbs. 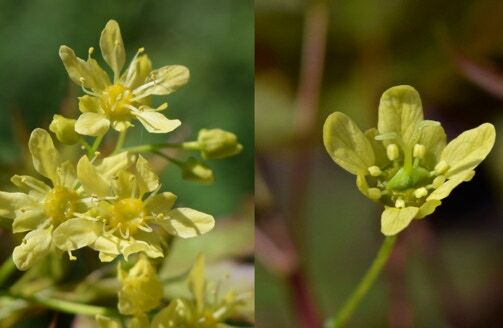 Individual flowers are not showy but when massed are quite attractive. Flowers emerge before or with the leaves and are are dioecious, having both male or female on the same tree. They are insect pollenated like all maples. Acer truncatum flowering early April, Fort Worth, TX. Right - Close-up male and female flowers, right. Acer truncatum distinguishes itself in section platanoidea by having more heavily fissured and rough bark, more so than any other maple, but I have witnessed variations in the amount of bark fissures among seedling trees I’ve grown. 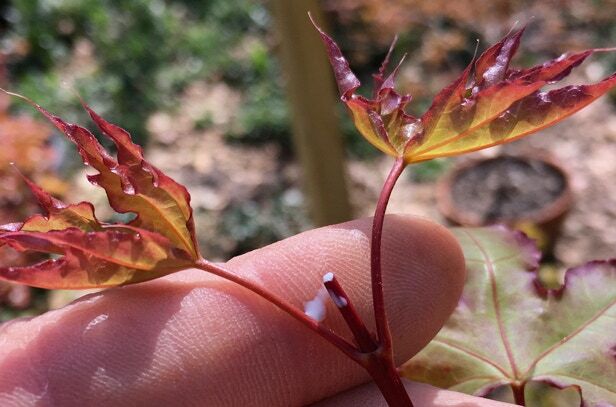 It is also the only maple without cotyledons, temporary food storage pseudo-leaves that drop off when real leaves emerge, as truncatum seedling’s first leaves are true leaves. Typical fall color is yellow, sometimes mixed with orange or red. 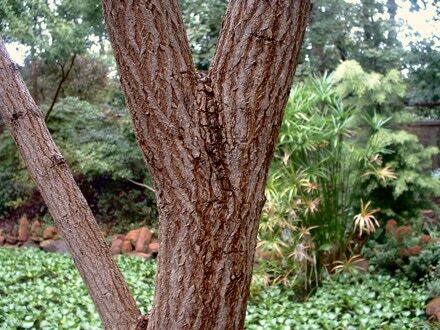 The bark is two-toned light and dark brown on young vigorous trees that will turn to grey and whitish-grey with age, or slow growth. The wood is very fine grain and dense with a diffuse-porous xylem, and is therefor very strong and flexible. Young shoots are brown, purplish-brown, or reddish brown with visible gas exchanging small lenticels. Occassioinal red on the winged seeds (samaras), and opening buds of ‘Fire Dragon’ ® (PP#17367) which is red instead of typically reddish-purple. 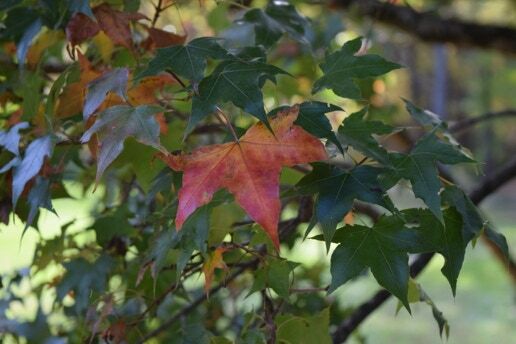 The purplish-red new growth colors of some truncatum have lead to one common name of Purpleblow Maple. Another common name is Shantung Maple which refers to the province in north-eastern China where the tree is quite abundant. It also grows further to the west and into central China but in lessor numbers. It can also be found in Korea and Japan. I prefer the spelling of Shandong Maple which was given to me by Mr. Ojishi, a prominent Chinese botanist. 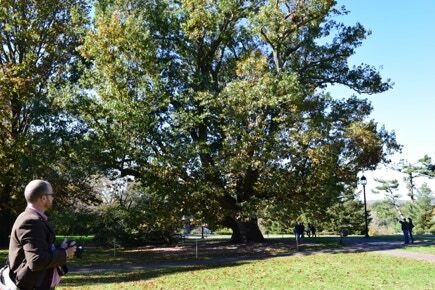 I also have seen the tag on the original truncatum brought into the west in 1881 in Kew Gardens, Great Britain, and it had the common name, Shandong Maple. Either way Shandong, or Shantung is spelled, it is pronounced with a ‘d’ rather than a ’t’. A seedling Shandong with purplish-red growth and truncate leaf bases and one with backward facing basal lobes. 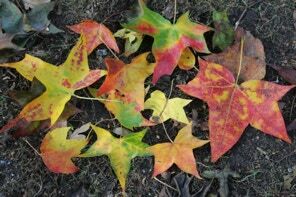 Fallen leaves from the old Shandong maple in Kew Gardens, England. The word ‘truncatum’ refers to the truncate, or straight across, leaf base. However, the similar Acer mono has more truncate leaf bases as well as larger leaves. A. cappadocicum leaves are also similar to truncatum but will have longer acuminate (tapering to a slender point) lobes. Truncatum leaf bases can also be cordate, heart-shaped, as well. Typically the leaves are polymorphous with slightly differing shapes all at once on the same tree. Leaf margins are entire, not serrated, and margins are sometimes wavy but will flatten out in the summer heat. Truncatum is a much smaller tree at 35 feet in height than either A. cappadocicum or A. mono. Truncatum does grow a little bigger and faster in warm climates with a long growing season. In the United States the first tree went to the Morris Arboretum near Philadelphia probably about 1906. In the sixties the Morton Arboretum in Chicago, and the Washington Park Arboretum in Seattle began growing some. Also in the sixties, thousands were planted as street trees in Beijing, China where they are doing well today with compacted soils and pollution. Left - 100 year old Shantung maple in the Morris Arboretum, and even bigger 130 year tree in Kew Gardens, London. The big trunk shown is just one side of the tree and those branches 20 feet up are 2 feet in diameter. Acer truncatum at Morris Arboretum showing trunk and leaves when it was probably 100 years old. In the 1980’s a good friend of mine in the Ozark Chapter of the American Rhododendron Society, Dr. John C. Pair, horticulturist at Kansas State University, began testing of Shantung maples in Wichita, Kansas. Texas A&M soon followed testing. In 1994 I started a tree farm called Metro Maples and Dr. Pair said, “Keith you should grow Shantung maples”, so I promptly got started. Six years later in the year 2000 Texas A&M named the Shantung maple as 1 of only 2 trees in their Texas Superstar program describing it “like a Japanese maple with much greater toughness”, and they became widely popular. In the year 2002 I decided to propagate and patent a rare seedling that turns bright red in the fall instead of the normal yellow, and named it ‘Fire Dragon’ ®. Several years later I patented a neat little dwarf named ‘Baby Dragon’ ® and one that has bright yellow leaves all year named ’Super Dragon’ ®. There are now many named cultivars and you can see some of them in the ‘Cultivar’ page. An easy way to determine that a maple is in section Platanoidea is to break a leaf or stem as they all, including truncatum, have milky sap. Shandong maple at the United States Department of Agriculture Arboretum in Washington, DC. The Director told me they cancelled their A. truncatum maple research and introduction program because they had me. Maybe the best compliment I’ve ever had. (1) Maples of the World, D. M. van Gelderen, P. C. de Jong, H. J. Oterdoom, 1994 by Timber Press, Inc.
All photos and text are copyrighted by Keith Johansson and not to be re-used without permission.